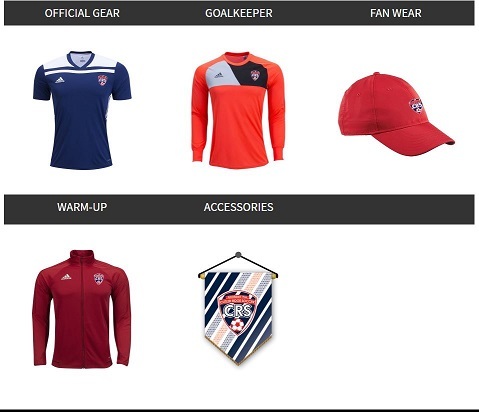 Uniforms are available for registered players to order from Soccer Locker only online. Please note that the entire uniform kit is new this year, and must be purchased by both new and returning players. 1) Choose between the options. * Please allow 3 – 4 weeks for processing your order. Processing estimates are subject to change due to item availability and order volumes. Once your order is shipped you’ll receive an email with your tracking number. You’ll receive a text when your order is ready for pick up. *Please include Player Name and Age Group in "Order Notes" during checkout. Number will be assigned by your club.